More great news today. 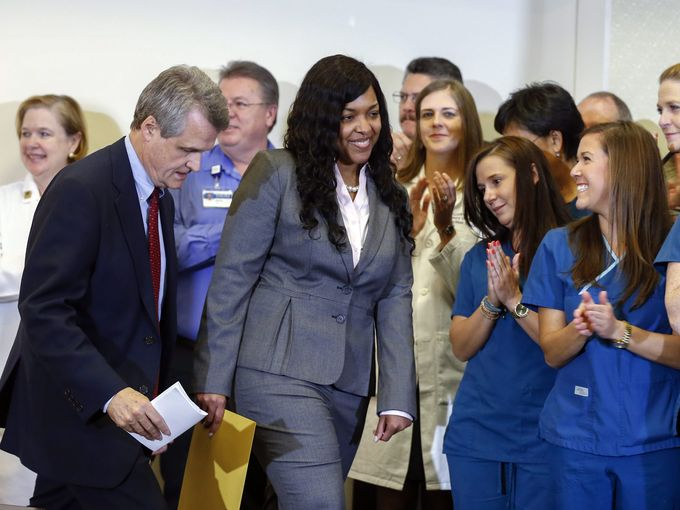 Amber Vinson, the second nurse diagnosed with Ebola, is free of the virus and back home in Dallas County. She was discharged this afternoon from Emory Hospital and is now regaining her strength at Texas Health Presbyterian Hospital. I can't say enough about Amber's resolve during this difficult time. We're so grateful that she beat this virus, and for her team of health care workers. About 90 people are still being observed for symptoms. They should continue to cycle out of the 21-day monitoring period, God willing, with November 7th being the final day for most. I continue to send my prayers and well wishes to them and their families, and ask you to please do the same.